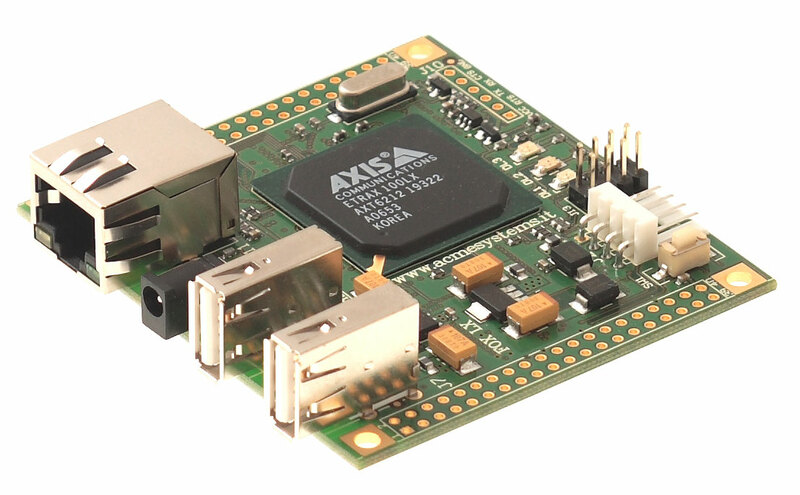 FOX Board runs a real Linux operating system (not a uC Linux) on an ETRAX 100LX microprocessor, a 100MIPS RISC CPU made by Axis Communications. 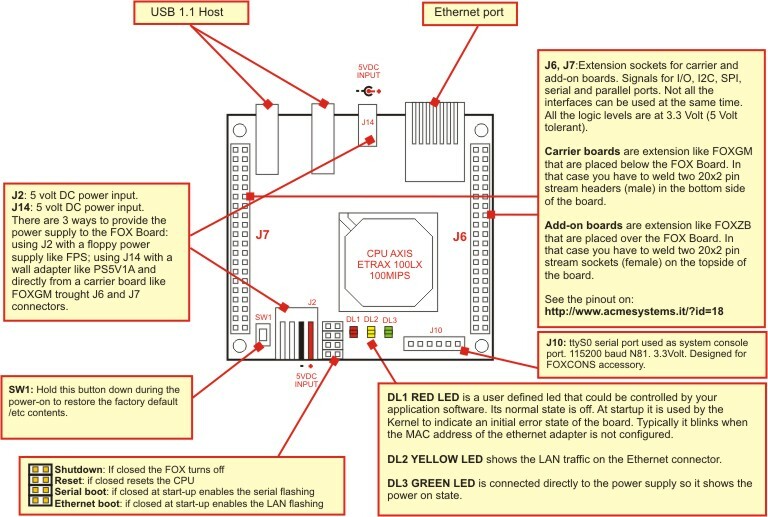 Two USB 1.1 host interfaces can be connected to USB memory stick, hard disk, webcam, modem, Wi-Fi or Bluetooth dongle, ADSL adapter, Serial converter, etc. Through the 10/100 ethernet interface it is possible to have access to the internal Web server, FTP server, SSH, Telnetd and the complete TCP/IP stack. Two 40 pins sockets step 2.54mm (0.1") are available to plug the board on application specific carrier or add-on boards (See: ). On these pins are available a lot of signals as explained below. On either side of the Fox board it is possible to solder two 20x2 pin strip connectors step 2.54mm (0.1") to put the FOX Board over an application board or move signals to another board using normal 40 pin flat cables. All the signal lines on the extension sockets need mechanical and/or electrical adapters to be used. () With no usb or other devices connected () Not all the signals on the extension sockets can be used at the same time. The peripheral signals configuration depends on Kernel setup and line assignments. 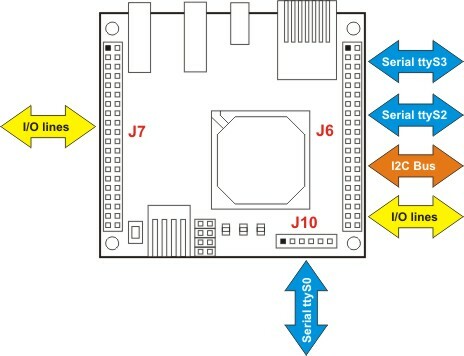 () The serial ports on Axis are four: 1 asynchronous port is already used as console (/dev/ttyS0) and it is not available on the extension sockets but only on the console connector J10; 1 other port (/dev/ttyS1) is in common with the USB1 port, the other 2 ports are completely available (/dev/tty2 and /dev/tty3). 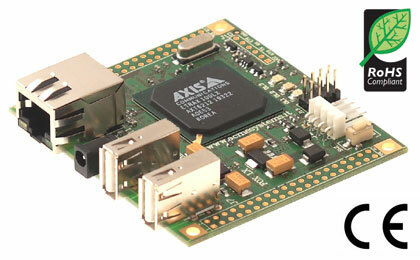 One of these can be configured also as RS485 or synchronous. Be aware that the /mnt/flash directory is mounted on a FLASH memory that can only be written a finite number of times (about 100K). Please don't save counters, logs or other frequently refreshed files in this directory but use /var directory instead that is implemented in RAM memory. All the boards broken with this method usually can't be reflashed and will be considered out of terms of warranty.